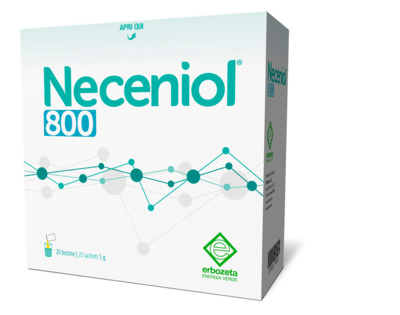 NECENIOL 800® is a dietary supplement based on controlled-release Alpha lipoic acid, Acetyl-l-Carnitine and Coenzyme Q10. Alpha lipoic acid, Acetyl-l-Carnitine and Coenzyme Q10. One sachet a day, dissolved in a glass of water, far from meals. Mix for around 1 minute to obtain a homogeneous suspension.